Origin and Habitat: Eriosyce napina subsp. 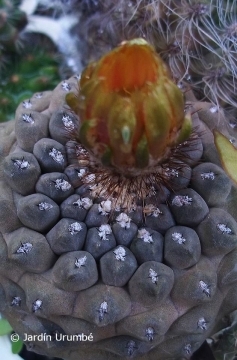 riparia is a strictly endemic cactus that only grows in in a small spot at Elqui, east of Trapiche. Habitat and ecology: The original population, localized near electricity pylon 227 along the road, has been almost completely swept by the building of the new road that lies right over the top of them. A lorry park now sits on the Eriosyce napina subsp. riparia site. Very few, if any, individual survive in habitat. Cultivation and Propagation: Eriosyce napina var. riparia is a summer-growing species of relatively easy cultivation. 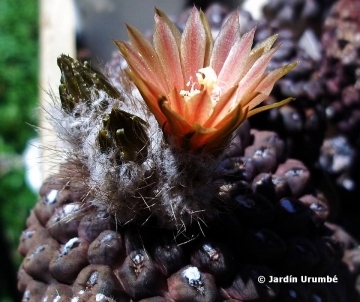 This plant is extremely xerophytic and adapted to very dry soils. It has a thick taproot and is susceptible to over-watering if kept in a non ventilated place. 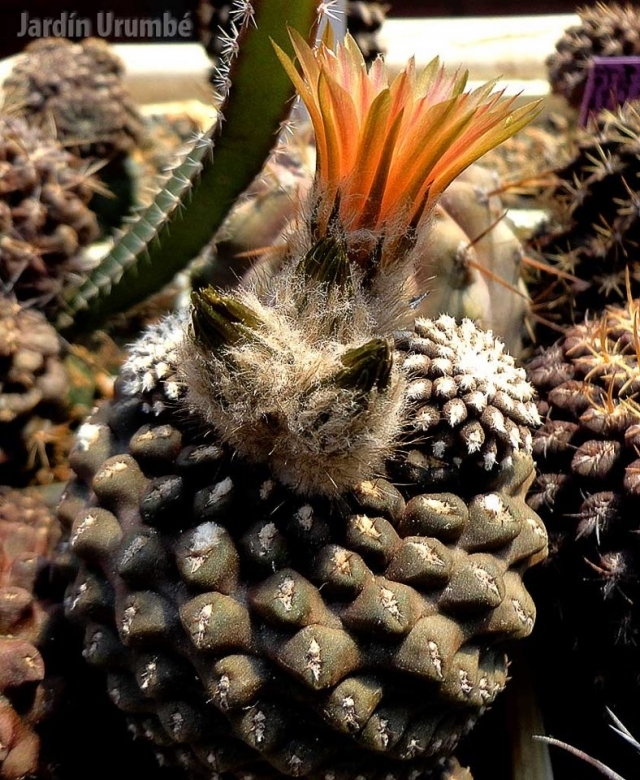 This cactus continues to be, a particular prize among collectors.